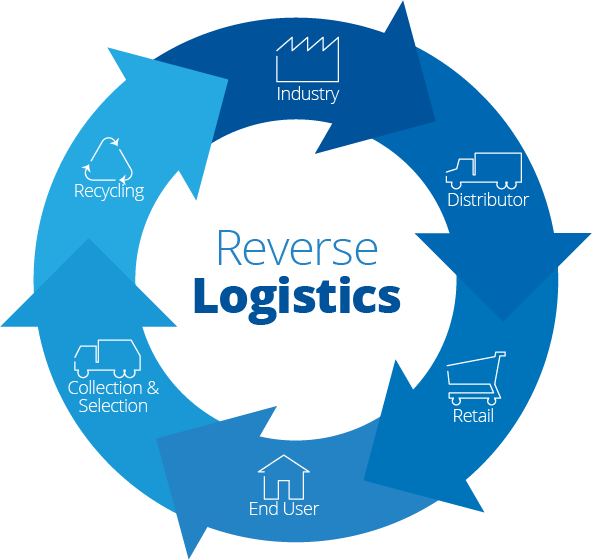 What are reverse logistics? How do they affect your supply chain? 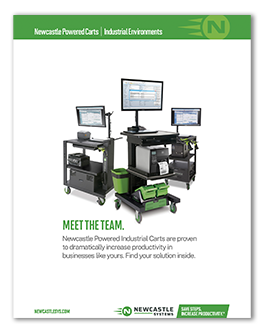 What can you do to leverage reverse logistics and improve your bottom line? Read more to find out how the return of goods can actually create potential profit for your company. Learn how to measure and assess your company’s reverse logistics system. Find out some of the benefits that come with a good reverse logistics workflow. Reverse logistics refer to monitoring the life-cycle of your products after they arrive at the end consumer. This could include how your product could potentially be reused, how it should be properly disposed of after use, and any other way where your expired product can create value. The reverse logistics that directly impact supply chains the most are the return of products from the end consumer back to the manufacturer. For the rest of the article, we’ll explain more abiut this process, and ways you can use it to your advantage. Most supply chains will stop measuring the success of their goods once the product is shipped and is delivered on time. While this is can be an accurate measurement of customer satisfaction and profit, it doesn’t account for all cases. What if your customer receives an incomplete order? What if they feel the item they ordered doesn’t match the product description? Or what if the customer just changes their mind about their purchase? In all three of these likely scenarios, the return of your product qualifies as reverse logistics. The physical shipping of the returned product. Quality testing the returned product to replicate the error or identify the flaw. Documenting any problems with the returned item. The disassembling, repairing, recycling, or restocking of the returned item. Managing the reverse travel of your product back into the supply chain can help you avoid making the same mistake twice and allow you to reutilize as many components of your product as possible. 1. Volume. Are the same items being returned over and over? Is this happening in large volumes? Answer yes to either of these questions and you’ve probably got a larger problem than just a few faulty units. You may need to consider a recall or an overhaul of your production process. 2. Percent of Sales. What percentage of your sales are lost to product returns? And how many of these products can be reincorporated into your supply chain via reverse logistics? According to a study by the Aberdeen Group, the average manufacturing company will spend 9% - 15% of total revenue on the returns process. What can you do to minimize these losses of revenue? How can you turn a profit on a loose? 3. Condition the Product is Returned In. Is the product failing after a specific operation? Can you determine any patterns of failure among the returned product? This is where quality assurance (QA) and error reproduction are important. You want to figure out what went wrong so you can adapt and correct the problem before it happens again. 4. Financial Value. Without monitoring and managing your reverse logistics, your company could be losing millions of dollars in potential value. Consider failed electronics that are returned to their manufacturer. According to “Recovering Lost Profits by Improving Reverse Logistics,” electronics sold in secondary-markets “represent an estimated $15 billion (sold) in the United States.” These electronic companies manage to turn product failure into new profits by utilizing reverse logistics. While many companies consider the return process to be a necessary evil that shouldn’t be noticed, companies that implement an effective reverse logistics workflow can reap several benefits. Faster service. This refers to the original shipping of goods and the return / reimbursement of goods. Quickly refunding or replacing goods can help restore a customer’s faith in a brand. Customer retention. Dealing with errors is just as important as making sales. If a customer had a bad experience with your product, you have to make it right. Fulfilment blunders can create educational opportunities. Learn how to keep your customers happy and engaged with your company - even after you’ve made a mistake. Reduced losses and unplanned profits. Recover the loss of investment in your failed product by fixing and restocking the unit, scrapping it for parts, or repurposing it in a secondary market. With a good reverse logistics program in place, you don’t have to leave money on the table. Take a product that would otherwise just cost your company money and turn it into an unforeseen asset.